The Kingdom of Denmark is the geographical link between Scandinavia and Europe, with stories full of Viking History. 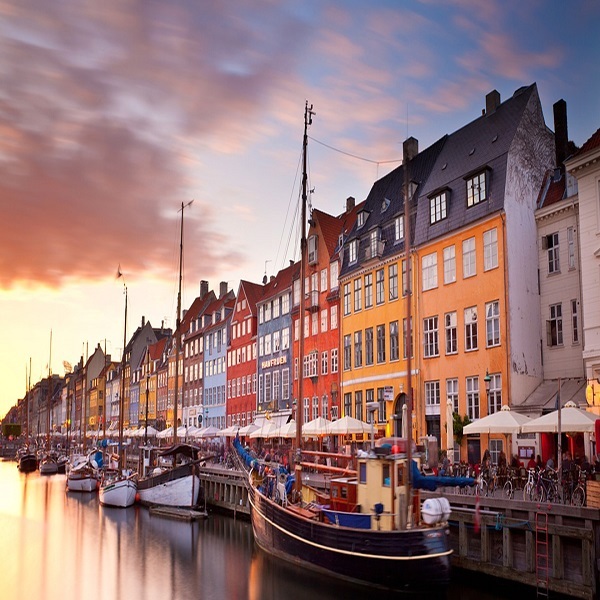 The capital Copenhagen boasts the Tivoli Gardens, Amalienborg Palace and the old harbor of Nyhavn. Timber villages and tidy farms rub shoulders with towns and cities, where pedestrians set the pace, not the traffic. 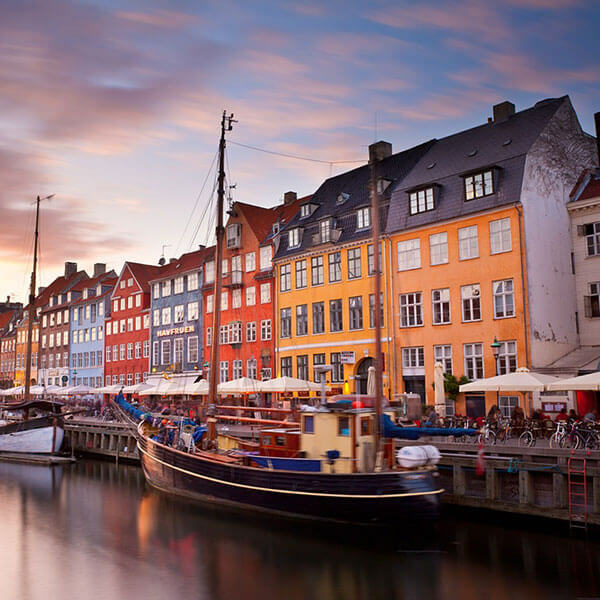 Once the home of Vikings and later a major Northern European power, Denmark is a modern, prosperous nation. The capital, Copenhagen, has a reputation for being a welcoming city, with cutting-edge cuisine.